One wouldn’t think comedy and horror go well together. Yet they do. It’s a matter of balance and perspective. If a book or movie just keeps piling horror on top of horror, they begin to pall after a while. Worse, it becomes harder and harder to have sympathy for the victims because it’s hard to relate to people who are defined by what is done to them, as opposed to what they do. This is probably the secret behind why slasher film series gradually take on the perspective of the killer: he/she/it is about the only person showing any character. Comedy offsets horror. It gives us a chance to catch our breaths and relieve our nerves. It gives the people in the story a chance to act human. It also helps us keep on caring about them as they go into the next horror. And comedy offers a catharsis. 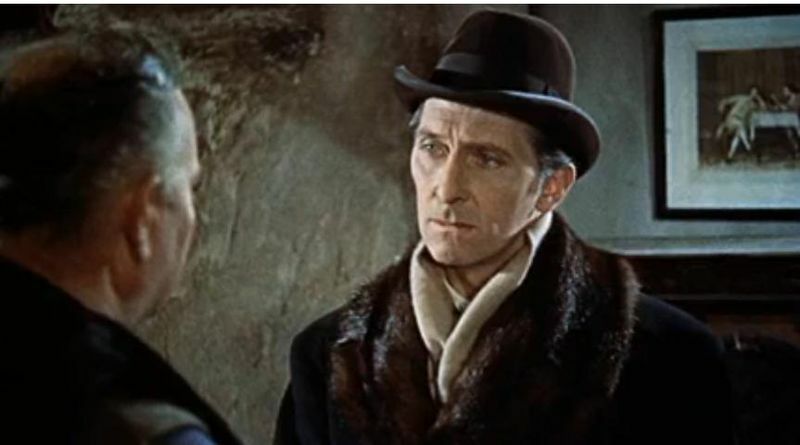 There’s an episode in Dracula where Van Helsing makes a joke which at least one of the other men would consider in very bad taste, and then breaks down in laughter. The man is the only one who knows what’s really going on, and is fighting to save a young woman from a terrible fate. And so he takes refuge in laughter, breaks the strain, and is ready to deal with new horrors. That Bram Stoker, he was no fool. He knew how comedy and horror are connected. This entry was posted in Netherfield Witch, Uncategorized and tagged Abraham Van Helsing, comedy, Fiction, ghost, horror, supernatural, teenagers, Writing. Bookmark the permalink. Which is pleasing to hear, because it was the most troublesome chapter to write so far, with two false starts before I could figure out how to make it work.